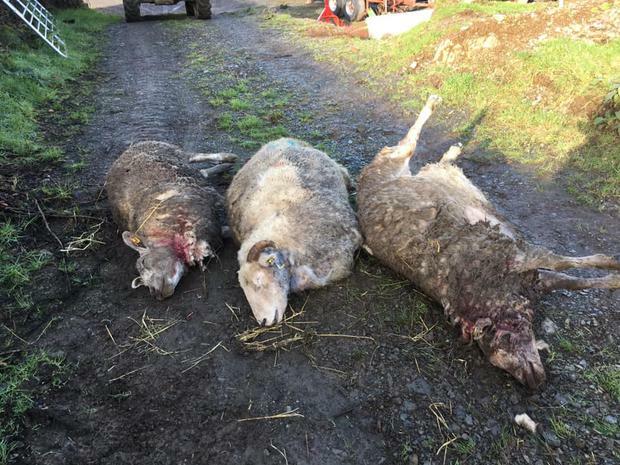 Cavan sheep farmer Daphne Scott is asking dog owners to look at the pictures of her dead sheep, after her flock was attacked over the weekend by a dog, leaving eight ewes dead. Daphne Scott only bought her farm last year and since then she’s been trying to build up her flock of ewes. On Saturday she went out to find the flock ravaged and mauled after a dog attack with eight of her ewes dead around the farm. 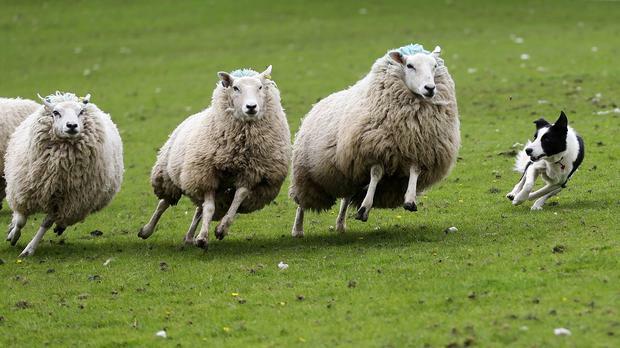 The eight ewes alone are worth nearly €2,000, she says, but it’s the ongoing trauma to the rest of the flock that has left the Cavan farmer most upset. Daphne had checked on the sheep during the day and her brother, who has a dairy farm next door, was spreading slurry and noticed nothing amiss. But when Daphne went back out to the field at 4.30, she found the flock scattered over a number of fields. Eight were dead and she spent the rest of the day with friends and family trying to coax the rest of the terrified sheep into a sheep to avoid another attack. “One of the (dead) ewes was pulled down a hill, the wool is all down the hill. That took more than one dog,” she says. There was no sign of the dog, or dogs, that had carried out the attack, she said, but she did glimpse a dog the next day when there was another attack. 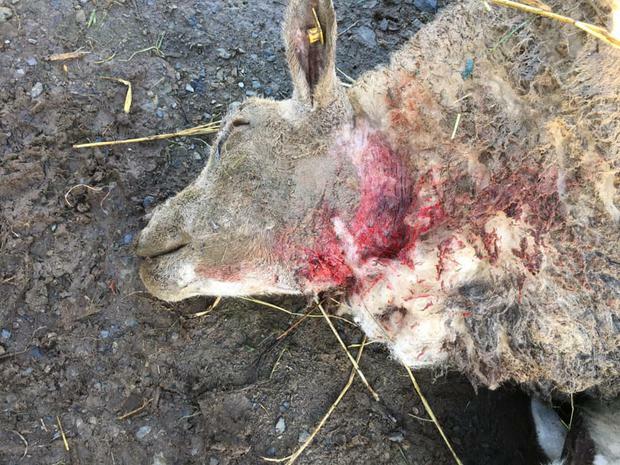 Six of her sheep had fled into a neighbours field on Saturday and the next day when Daphne went with a trailer to collect them she found they had been attacked again and one was dead. 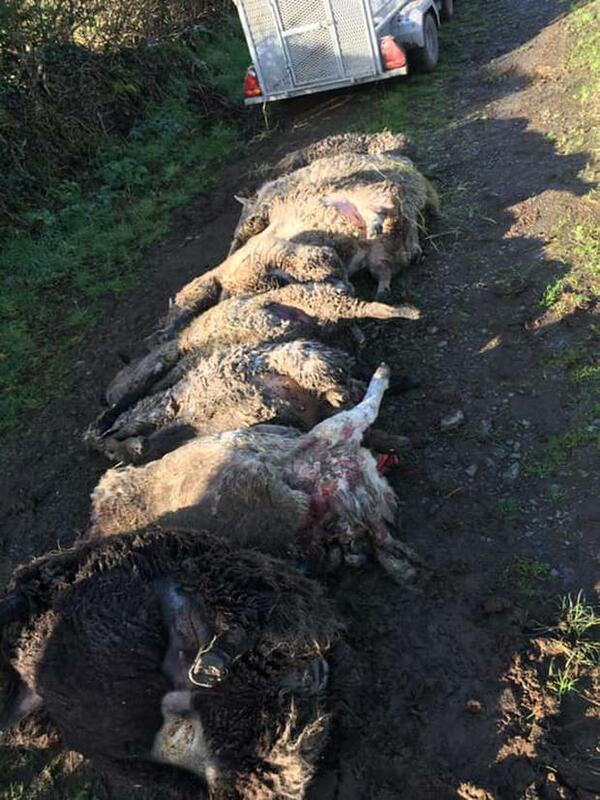 Daphne paid €160 to have the eight dead ewes taken away after the attack and a vet to stitch up another sheep. One ewe has not got up since the attack and she says another five are in a very poor state. Daphne has kept the sheep indoors since Saturday, but space is limited and with the ewes due to lamb in the coming weeks she may not have enough space. Now she is appealing for dog owners to ensure they know where their dogs are. “This is what your dog can do if you do not keep them at home or in your sight at all times.